After Bo Innovation’s move last year, Alvin Leung has stayed a busy man: Besides running MIC Kitchen and casual Korean chain Bib and Hops, the “Demon Chef” topped off 2017 with the opening of Plato 86, a tapas restaurant in Wan Chai, and Forbidden Duck in Causeway Bay’s Times Square. The restaurant, which takes over the space previously occupied by Yun Yan, is similar to the likes of Mott 32 and Yan Toh Heen, where Peking duck is a signature item alongside contemporary renditions of Cantonese classics. 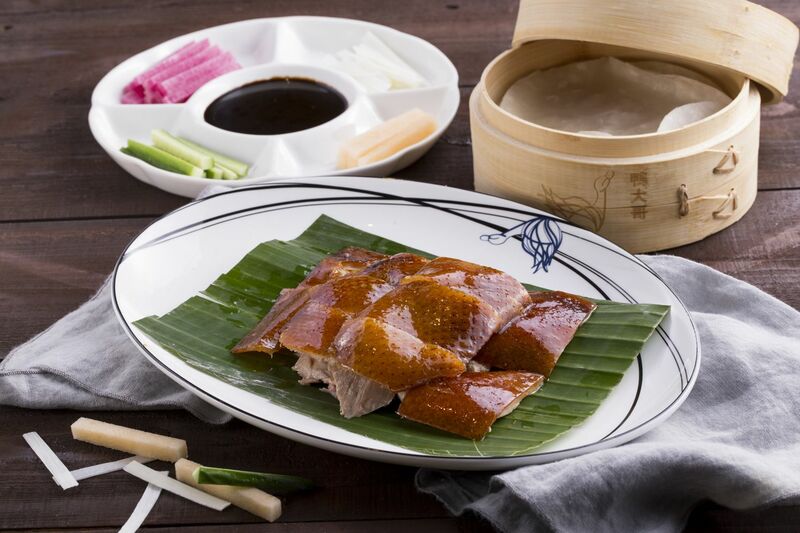 Leung’s new restaurant brings new ideas to the traditional construct of the Peking duck dish, offering not only its traditional version, but also one with a modern twist. The restaurant’s signature slow-roasted whole duck requires advanced reservation as the restaurant cooks only 10 birds per day. The duck is first slow-cooked before being roasted at a higher temperature at the end to give colour and crispness to the skin. Forbidden Duck also offers a wide range of Cantonese dishes, from stir-fries to braises.